How would you grade Bill Ritter? Will the one-term governor leave a legacy or be forgotten quickly? Tim Hoover and Lynn Bartels wrote a balanced piece in Sunday’s Denver Post (12-26-10), and I weighed in with a commentary that suggested his dislike of politics and lack of skill at it turned into a fatal flaw that undermined his agenda and contributed to his feeling the job was not right for him. How Would You Grade Ritter? No doubt the economic and political interests that helped promote and sustain John Hickenlooper as mayor will begin to pick sides in the upcoming May election. But, Hickenlooper wisely is keeping his confidences. As I told Lynn Bartels, his endorsement would be powerful, but involve him in a tough fight in which his term of office would become an issue. The Republican wave swept eight western congressional seats, but failed to capture any senate seats. They picked up two governor seats, one in New Mexico, which was competitive, and Wyoming, which was a foregone conclusion. 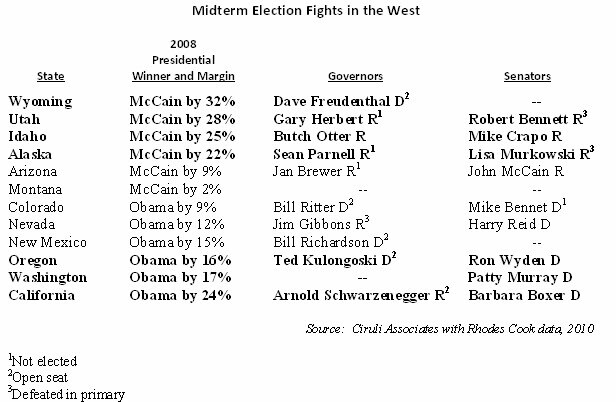 The following chart lists western states top to bottom from most Republican to most Democratic in the 2008 presidential election. 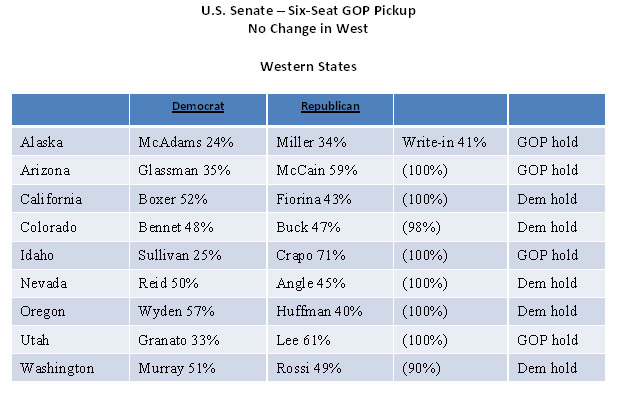 Wyoming is the top of the list where Republicans picked up the governorship. California, with its lack of any partisan change in the midterm, is at the bottom. The most competitive western states are in the middle of the chart. And indeed, Colorado featured the nation’s closest senate race and Nevada saw Harry Reid stay afloat after a titanic battle. The recent Pacific Chapter for the American Association of Public Opinion Research conference had several panels that reviewed the midterm election results (http://www.papor.org/). The lack of partisan movement in western states’ senate seats was seen as a product of races that were shifted from referendums on Washington, President Obama and national Democrats to contests between two candidates. Huge money and negative advertising put the contests on campaign platforms that rose above the national Republican wave. Some of the Tea Party senate nominees had vulnerabilities that could not be overcome by massive Republican and conservative advertising budgets. Sharon Angle in Nevada and Ken Buck in Colorado were both ahead at various points in their respective campaigns, yet lost due to verbal and positioning missteps and weaknesses. 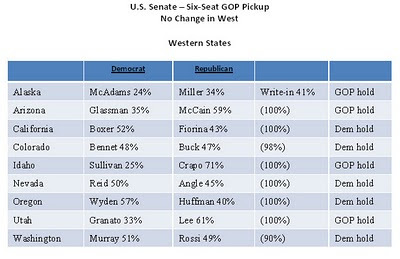 The six senate seats that changed hands were in Arkansas, Illinois, Indiana, North Dakota, Pennsylvania and Wisconsin. While each state had specific issues and candidate features, partisanship and the sour economy appeared to dominate. But a part of the West’s resistance to the Republican wave was the West’s weaker partisan loyalty and more independent voters. Those voters are more susceptible to attack advertising, which dominated the campaigns, and less influenced by partisan or, in the election, anti-partisan trends. California is a special case in that some of the political rigidity at the congressional level is explained by decades of redistricting manipulation. Also, the exit poll showed 22 percent of the electorate was Hispanic, and they overwhelmingly voted Democrat. But like other western Democrats, both Jerry Brown and Barbara Boxer spent mightily and attacked incessantly to shift the races from referendums to contests. The commitment of legislative leaders to attempt a compromise plan on redistricting Colorado’s congressional districts is historic. The courts have been necessary to resolve most redistricting battles after recent censuses. Creating more competitive districts is not in the interest of incumbents or partisans. Generally, plans protect incumbents and attempt to shift sufficient partisan voters into Colorado’s few competitive seats to one or the other party’s advantage. Recent performance shows the most competitive districts have been the 3rd and 4th. The average district will have about 261,000 voters (redistricting is based on total population and there are different registration rates in each district). Denver’s 1st district has the least registered voters and the Arapahoe/Douglas County’s 6th has the most. Unaffiliated voters tend to shift between parties more than partisans, but also tend to have liberal and conservative preferences, for example, unaffiliated voters in the 2nd district lean left and those in the 6th lean right. Minor changes are easier than major changes, and given that Colorado will not get an additional district this year, it should be easier. 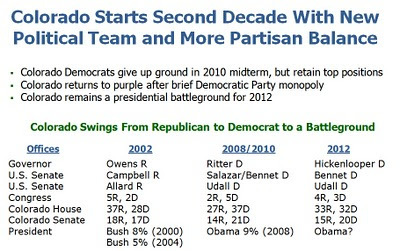 Colorado begins 2011 with a new political team and more partisan balance. The Democratic era in Colorado, which began with the victory of the Salazar bothers, Ken and John in 2004, closed this year with John Salazar’s loss of his U.S. Congressional seat. Republicans swept everything below the top two races, governor and U.S. Senate, which Democrats continue to hold. The Republicans’ control of the U.S. House with two new Republican congressmen from Colorado will be the party’s most valuable platform for new leaders and to change the direction of national policy. Control of the Colorado House of Representatives will be the strongest local stage to challenge weakened Democratic dominance and groom new leaders. As the chart shows, Colorado went from an overwhelmingly Republican state starting with Gov. Bill Owens at the top of the ticket, basking in a 63 percent re-election victory in 2002, to a near Democratic monopoly with Bill Ritter’s 17-point election in 2006 and Barack Obama’s unprecedented 9-point presidential win in 2008. As the 2012 election cycle begins, Colorado is up for grabs. Obama will start off his re-election below 50 percent in approval (midterm Colorado exit poll gave Obama a 47% approval) and, although Hickenlooper has the potential to be a popular governor, he will likely not be very partisan. What is the Future of the Salazars? Ken Salazar was a major force in Colorado politics and policy for two decades, but his absence from the state and his brother’s loss of the 3rd Congressional District race raises questions about his political future and the strength of the name as a political brand. The Secretary of the Interior job is always controversial. It has high-profile, often controversial, issues with powerful conflicting interests. 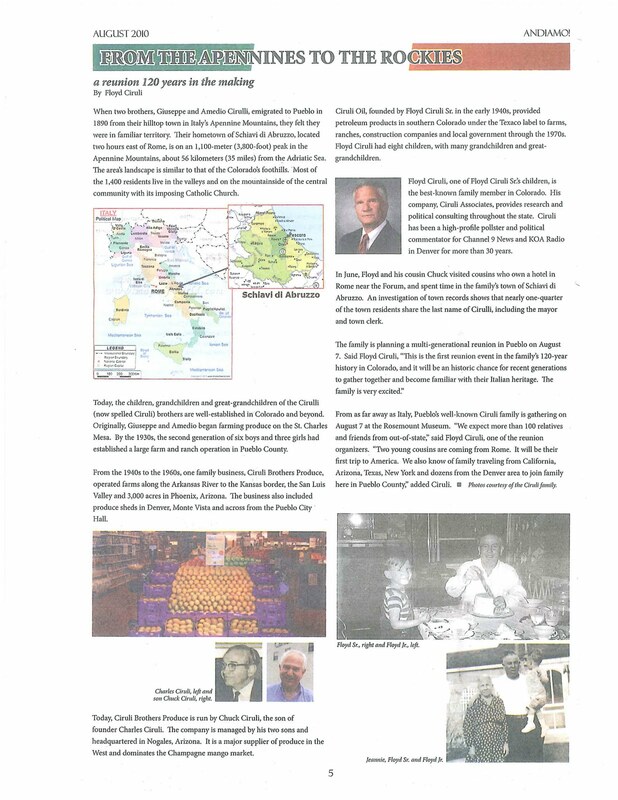 Ken was burdened in 2010 with having to manage a Katrina-sized environmental disaster in the Gulf. Also importantly, cabinet secretaries rise and fall with their bosses, and President Obama had a terrible 2010. Salazar appears to remain in Obama’s favor and his political base in Colorado and Hispanic heritage are important assets for an administrator going into a tough re-election. John Salazar could stay in government service. He claims he may run again for congress in 2012. How the District is redistricted will be a factor. Also, 2012 could be another difficult Democratic year. But mostly, John doesn’t have a nine-to-five temperament. He seems most comfortable with his own style and pace. Congress offered that, but so does his ranch. Ken still has many friends in Colorado, but he could serve as Interior Secretary for six more years, and local politics does move on. His return to Colorado may be more Hank Brown-like; i.e., serving in high level jobs, then running for partisan office. The Republicans’ midterm wave, which swept across the country, splashed into the Colorado River and ran out of momentum. The record 63 congressional seat victory failed to include a single seat in California. And, although western Democrats did better than the rest of the country holding off Senate challenges – for example, in Washington, Nevada and Colorado –they gave up eight congressional seats in six states. The Democratic and liberal tilt of California’s political system and culture was a subject of the recent PAPOR conference (see blog post of December 7). Large states in the east, midwest and south with Democratic and Republican majorities, including several battleground states, all made some accommodation to the shift in the national mood, for example: 5 seats in Ohio, 4 in Pennsylvania, 6 in New York, 4 in Illinois, 4 in Florida, 3 in Tennessee, 3 in Virginia and 3 in Texas shifted Republican, and as noted, 0 in California. So, as the rest of the nation rejected Speaker Nancy Pelosi’s leadership and removed the California Democratic delegation from its position of power, California voters re-elected them and made no partisan change. And, of course, the remaining Democratic House caucus elected Pelosi minority leader ostensibly to ensure liberal interests were protected in the new political environment and with a president prone to compromise. Colorado’s status as a 2012 battleground state was reaffirmed by President Obama when he invited Channel 9’s Adam Schrager to the White House. Obama has launched an aggressive effort to convince voters that he got the message on getting things done and taking on his own party if necessary to do it. Is it possible Obama may run against Nancy Pelosi for re-election? See latest Wall Street Journal/NBC News poll supporting compromise, including most Democrats. Thanks to the SCFD Board, its hardworking staff and all those who were able to attend the Dec. 1 Rex Morgan Award. I was greatly honored by the kind words of friends and supporters of the SCFD. Attached are my prepared remarks. My theme was that a modest and innovative funding mechanics blossomed into one of the most unique and envied citizen-directed, local government organizations in the country. Its success is partially a reflection for the growth of public and urban leaders’ realization that cultural infrastructure is as important to quality of life and the economy as many brick and mortar projects. The District’s 22 years of performance is also a product of a host of good public policies and good politics embedded in the statute and implemented by successive boards and cultural stakeholders. As you know, the SCFD has significantly contributed to making Denver a special city in a culturally enriched region. This award is a tribute to all who helped found, preserve and extend this District. Since the beginning of this century, a world public opinion industry has developed and became a staple of public opinion reporting. The Pew and Gallup organizations are the most visible in America, but there are a large number of organizations that collect data from reputable local polling vendors and aggregate it into studies and reports for private and public consumption. 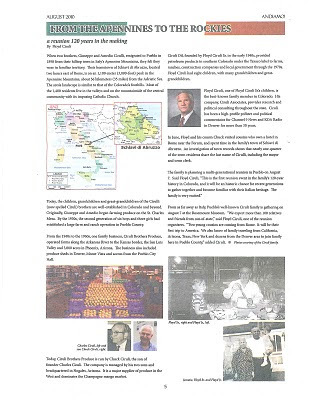 One of the frequent users of the data was Dan Lund of Mexico-based Mund Group. Sadly, Dan just died from a sudden heart attack, and you can see his last analysis of world opinion published by GlobeScan here. A few interesting observations from Dan’s final report are that when national populations were asked if they felt the world was going in the right direction, in North and Latin Americas, two of its most pessimistic countries are the USA and Mexico. Assuming the public is both reflecting their views of their own country’s direction and their nation’s position in the world, citizens of both the USA and Mexico are not pleased. And Europe, Italy and France are the least positive on the world direction. Japan joins the least positive group from Asia. The most positive national populations are the more authoritarian states of Russia and China, who are also benefiting from upward economic surges that have given broad elements of their population hope for the future. In Asia, India is also highly optimistic about the world direction. The 2010 PAPOR Conference agenda is now set. The San Francisco conference, December 9-10, promises to have a lively discussion on engaging topics. As the PAPOR President, I will welcome more than 70 participants and some of the nation’s and western U.S.’s top researchers in a range of courses, panels and networking events for two packed days. This year’s theme, “Research in Changing Times,” has guided panel and presentation development. Of course, the midterm election has provided a rich source of fresh survey research data concerning partisan changes – or, in some areas, the lack of change, and several panels will investigate national, western states and California voter decisions. See the conference newsletter at: http://www.papor.org/. But, Peña was right that a city’s greatness is more than just airports, convention centers and viaducts. A new Gallup survey shows social infrastructure and aesthetics may be more important to citizens’ attachment to their city than basic services and bricks and mortar. The soft issues are most strongly related to citizens’ satisfaction with their community and the community’s ability to mobilize people for civic action. 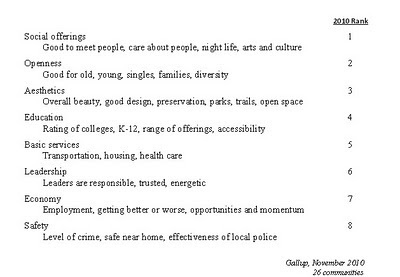 Gallup measured citizen satisfaction in 26 communities nationwide, along with a sense their community was moving in direction, their willingness to recommend it, and their general pride in their community. The key issues in the Denver’s mayor race will be more related to maintaining Denver’s social networks, its welcoming attitude, its overall aesthetics and educational offerings than the basics, which are assumed to be a given. Value is added when a community gains a reputation for its diversity, accessibility and opportunities. The modern era of Denver mayoral politics began in 1983 with the election of State House Minority Leader Federico Peña as mayor. There are many interests that influence Denver city elections. City government interests, such as city workers, especially police and fire unions; neighborhood groups, such as Park and Capitol Hill neighborhoods or the northwest side; ethnic group identities, such as Hispanic and African-American voter blocs; business associations and locations, such as downtown or LoDo. Since 1983, these groups tend to align in a fashion that produces a struggle between candidates and interests from inside city government and those outside. Peña was outside city politics; Wellington Webb, the City Auditor, was inside; and, of course, John Hickenlooper, the LoDo businessman, outside. In the 2011 election, the early candidates rumored and announced reflect the inside vs. outside dichotomy, with a few blending both. Additional themes can become blended into the discussion. Do voters want change or continuity? New vision or steady management? A politician or a non-politician? 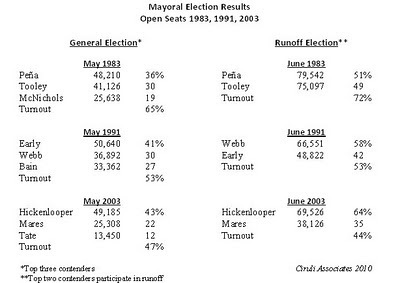 In the last election, Don Mares, the insider as City Auditor, won the right to challenge frontrunner Hickenlooper in the runoff. He was crushed. Whereas in the 1991 open seat election, Denver DA Norm Early, representing the outsider interests, won the first round, but lost decisively to insider Webb. Which shall it be in 2011 – insider or outsider? Of the 35 new county commissioners, Democrats lost 10 seats they had held and gained only one. Republicans also lost a seat to an unaffiliated candidate. The nationalization of the election that strongly affected congressional elections (Republicans took record number of 63 seats) did not stop with federal officeholders. Along with winning two new congressional seats, Colorado Republicans picked up six State House seats (taking control) and one in the State Senate. Republicans also defeated two Democratic incumbent statewide constitutional officeholders – State Treasurer and Secretary of the State. 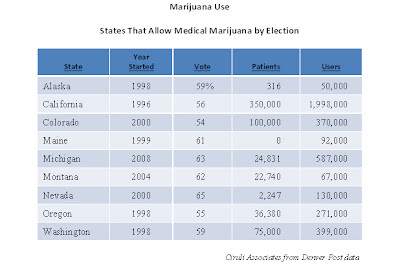 In 1996, California voters approved the medical use of marijuana (56% in favor). Four years later, Colorado (54% in favor) joined a growing group of states, mostly in the West, to legalize marijuana use for medical treatment. Colorado now has the second highest number of “patients” (100,000) among states that have legalized it by either ballot elections or legislation. The state also has the fourth highest user rate of people admitting to recreational or medial use (9.24 users, or 370,000, compared to the adult population). In this year’s election, 40 Colorado cities and counties are considering regulating or banning marijuana dispensaries based on recently passed state regulations. Several committees are asking voters to consider new taxes on marijuana sales. California is now considering a ballot initiative legalizing marijuana for recreational use. A recent Field Poll shows that 50 percent of California voters favor legalization, dramatically up from 3 percent in 1969 and 30 percent in 1983. The poll also showed nearly three-quarters of California voters (74%) support the 1996 initiative allowing medical use of marijuana, even though a majority (57%) believe the law has made it easier to obtain marijuana even without a real medical need. A near majority of California voters report smoking marijuana at least once in their lives and 8 percent admit to smoking it in the past year. In 2006, Colorado voters defeated by 59 percent to 41 percent a constitutional amendment to legalize possession of one ounce or less of marijuana for adults 21 years old and older. But, medical use appears to increase acceptance of recreational marijuana use. And, if California legalizes pot, expect Colorado to follow suit and make another effort at legalization. The Colorado midterm election will be a contest between the independence of the courts and the growing effort to pull the courts into the country’s current political polarization. Thus far, the courts have mostly escaped the high level of disapproval that has descended upon legislators, governors and the President. A group of conservative activists has organized a campaign to vote “no” across the board on Colorado judges. The “Clear the Bench” organization has operated mostly without money to promote the idea that Colorado judges, especially on the Supreme Court, should not be retained due to their liberal rulings on tax matters. Colorado is joined by Kansas and Iowa as a venue where appointed judges with retention elections are facing loud opposition. Although there will likely be an increase in anti-retention votes, the campaign, thus far, has gathered modest attention or little obvious support. Courts generally are better thought of than other branches of government and, except for mostly rare, controversial cases, seldom generate vocal opposition or noisy demonstrations. 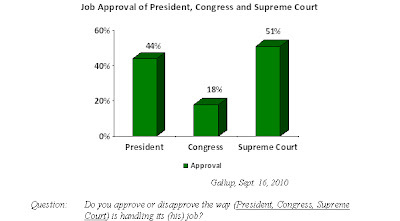 A recent Gallup poll on the U.S. Supreme Court shows that its reputation is higher than the President’s or Congress’, but also subject to changing political trends. The Court’s recent high point in approval was earlier in 2009 when Democratic identified voter support surged after the election of President Barack Obama and appointment of Sonia Sotomayor. More recently, of course, Obama has loudly criticized the Court for its decision in the campaign funding case. Its recent low point was in 2004 (42%), shortly after the ruling on condemnation of private land for economic development purposes. Partisanship makes a difference. 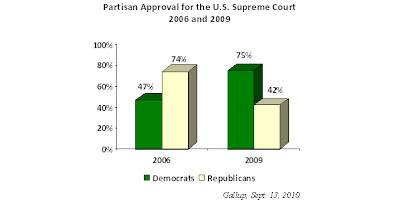 For example, comparing the 2009 to the 2006 data show dramatic shifts in approval of the Court by Democrats and Republicans. Republicans approved the G.W. Bush Supreme Court, but not the Obama Court; the reverse was true for Democrats. The Court is considered too liberal by about one-third of the public (32%) and too conservative by one-fifth (19%). A plurality of Americans believe the Court has an “about right” ideology (43%). An interesting finding since most observers believe the Court’s recent judicial philosophy has leaned conservative and will remain about the same with the new appointments – Sotomayor and Elena Kagan. The Tea Party movement has had much impact on the 2010 midterm election, and one of them has been to re-position the meaning of conservative. Congressman John Salazar, the threatened Democratic congressman from the Third Congressional District, is the clearest example of the danger to Democrats from the new definition. Salazar, assumed as a Blue Dog, moderate Democrat who voted against cap and trade, he was sufficiently conservative to have the votes of substantial numbers of 3rd CD Republicans. He beat his current opponent by 80,000 when Scott Tipton first ran in 2006. National commentators agreed Salazar, who had more than $1 million in the bank, was not threatened. But, the Tea Party didn’t care that Salazar only voted with Speaker Nancy Pelosi 92 percent of the time and not 96 percent like his urban and liberal Democratic colleagues. Voting with Pelosi at all made Salazar suspect, and 9 out of 10 voters was more than enough to campaign hard against him. “Salazar, Ciruli said, is ‘clearly a Democratic moderate’ who has been unable to connect with conservatives in his district so far this election cycle and seems to be paying the price.” (Grand Junction Sentinel). Salazar missed the threat and didn’t’ really start a hard campaign until the end of August when he hired a couple of experienced campaign workers. While it will be a surprise if Salazar loses, if there is a Republican wave strong enough to capture 70 or 80 seats, it might claim Salazar’s. 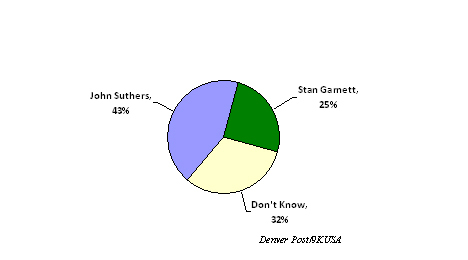 Boulder District Attorney Stan Garnett has a difficult challenge in attempting to unseat Colorado Attorney General John Suthers. Garnett was primarily motivated by Suthers joining 20 state’s attorney generals in arguing Obama Care is unconstitutional. Garnett has tried to find some issues that don’t tend to highlight his liberal Boulder image. Initially, he, along with the Democratic position on health care (a position which, in fact, is opposed by a majority of Colorado voters), highlighted the death penalty, marijuana and gay rights, all polarizing issues, which he holds liberal-oriented positions. More recently, he focused on conflicts related to Suthers’ fundraising (taking money from controversial financial institutions) and Suthers part in the release of a criminal informant who went on to commit several murders. Unfortunately for Garnett, he is late in raising the issues and doesn’t have much money to highlight his attacks on television, especially in the onslaught of massive expenditures in the U.S. Senate race. Also, most of the state’s newspaper editorial pages have the view Suthers has done a good job and deserves re-election. “I think John Suthers benefits in this particular situation by being a Republican incumbent in a good year for Republicans,” quoted in the Boulder Camera. The latest national analysis of the race moved Suthers’ race from lean Republican to likely Republican win (Governing.com, Oct. 12, 2010). Rasmussen’s September 12 automated poll shows the first shift in position among Colorado gubernatorial candidates since the August 10 primary. After more than two weeks of controversy over resume padding, Republican nominee Dan Maes has fallen into third place behind third party candidate Tom Tancredo, who gained several important Republican endorsements in recent days. Of course, the two conservatives split the Republican vote and continue to lose to Mayor John Hickenlooper by 21 percentage points. Maes has lost 10 points since the primary. Tancredo gained seven and Hickenlooper three. Given the short time left before early voting starts and the predominance in financing by Hickenlooper, the race is effectively over and Hickenlooper is the presumptive governor. Maes’ damaged reputation may indeed leave him in a weak third place on Election Day. Even after a major onslaught of negative advertising, it appears Ken Buck, Republican nominee for Senate, maintains a slight lead over U.S. Senator Michael Bennet. In a September 14 Rasmussen poll, Buck has 49 percent to Bennet’s 45 percent. Both candidates have improved their position slightly since the August primary. Colorado’s three fiscal ballot issues may be generating more interest than the partisan races. A recent survey by Ciruli Associates, reported in the Denver Post, drew criticism from both ballot opponents and proponents. The initiatives were not doing well in late August. Still, opponents have been raising millions to oppose them based on polling and pundits who said they were going to pass. The Ciruli Associates poll shows two of the fiscal ballot issues (Amendments 60 and 61) have only one-third of Colorado voters supporting them, and Proposition 101 has barely 50 percent. However, large numbers of voters have little or no knowledge of them. The polling test provides a snapshot of the public opinion status of the three initiatives prior to post-Labor Day campaigning. Previously conducted polls had showed the measures gaining support among voters. But, after several months of campaigning dominated by the opponents, and considerable political news coverage since the August 10 primary, the current position of the three initiatives has changed. A steady diet of news coverage has focused on opposition to the ballot issues by local business, civic, nonprofit and government interests. Newspapers have also offered analysis of the dire impact of the proposals. Supporters have been largely invisible. Their invisibility has raised credibility issues, and newspapers and others have attacked them as stealth proponents. The court case involving Douglas Bruce, who opponents allege is the mastermind behind the initiatives, and his reaction to it has reinforced the perceived eccentricity of the supporters. With the exception of Tom Tancredo, who likely won’t carry much voter-base with him, no high level politician has endorsed the three measures. To the contrary, large numbers of conservative Republican officeholders are opposing the proposals. The primary refocused voter concerns for the general election. Some behavior and positions are now seen as outside the mainstream. These proposals have joined that category. They are political orphans labeled as extreme. The Ciruli poll of August 23 tested the three initiatives using the way they would be placed on the ballot – that is, toward the end and without any introduction or questions that could bias or prime voter responses and using ballot titles commonly referenced in the media. The campaign opposing the initiatives appears to be working, along with the facts that they’ve found little support, even among traditionally conservative elected officials; their known supporters have been largely invisible and lack credibility; and the voters themselves have recognized that – after enduring some hard-fought primary campaigns – that some things do go too far. Karl Rove, called “the Architect” by President George W. Bush, is predicting a Republican sweep in the midterm election. Though an effective manager of George Bush’s presidential campaigns, Republicans should again be cautious of Rove’s powers of prediction. In 2006, Rove organized G.W. Bush’s midterm election strategy, which led to one of the Republican Party’s historic defeats – losing 30 seats in the House and the hard-won control they seized in 1994. At the time, Rove repeatedly claimed the election would be a contest between Democratic and Republican candidates and not a referendum on Bush. • In 2006, Democrats recruited moderates and conservatives to fit the swing districts and states they were targeting. This year, a revolt in the Republican Party against the establishment is handing the GOP nomination in many races to fringe candidates who are much more conservative than those the districts and states usually nominate or elect. In addition, Democrats are not shy in distancing themselves from Obama and his national agenda when necessary. Colorado Democrats have rejected his call for more stimulus, and none of the embattled candidates are proposing any more presidential visits. The situation in Colorado highlights the Republican challenge this year. Its senate candidate, Ken Buck, won after a bitter primary. And, although he may not be much more conservative than the woman he beat, the primary campaign moved him even further to the right and established his Tea Party identity. Democrats have launched the “He’s too extreme for Colorado” campaign as their main message. • Polls show that both parties are disliked – but, Republicans even more so than Democrats. The Republicans’ only advantage is being in the minority, and their ability to tap into the prevailing sentiment that Obama and the Democrats in Congress have overplayed their hand. In 2006, because Democrats were not as recently tossed out of power, it was easier for them to run without much of a platform and for voters to imagine a change from GOP governance. • Obama will campaign to both stir his base and help frame the issues. Although he won’t be useful in some states, he is much better at it than George W. Bush, and much less disliked at this point in his presidency (although he may be headed to Bush’s low approval rating in the mid-30% range). • There is an entire new standard of campaign, created by the Obama bid in 2008. The Obama campaign outspent John McCain by more than 2-to-1; it pulled in early votes, thereby locking up the race in many states before McCain made a late surge; and it micro-targeted its message to persuade voters and send instructions to core supporters. In addition, new interactive media and targeted message delivery were utilized in new and more ingenious ways. If these same campaign techniques are employed during the next 60 days, the Democrats could hold their losses to a minimum and Karl Rove can give up prognosticating. 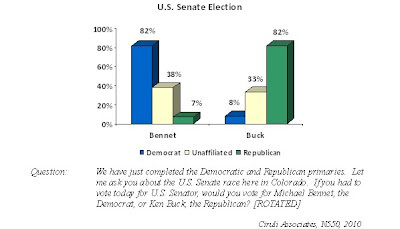 As the Colorado U.S. Senate candidates begin their sprint to early voting and Election Day, Republican Ken Buck leads his Democratic opponent, Michael Bennet, by two percentage points. This poll points out a few post-primary challenges for Buck. Although both candidates are losing similar numbers of partisans to each other, Bennet is winning the unaffiliated voters 38 percent to 33 percent. More than one-quarter (29%) of unaffiliated voters are undecided. Secondly, there are more Republicans (11%) saying they are undecided than Democrats (9%). The statewide survey of 550 likely Colorado voters was conducted by Ciruli Associates from August 19 to 23, 2010. The political questions were a separate section of a survey sponsored by a consortium of grocery and convenience stores. The statistical range of error is ±4.2 percentage points. Ciruli Associates is responsible for the questions and analysis. • President Barack Obama’s job approval rating is a weak 44 percent. 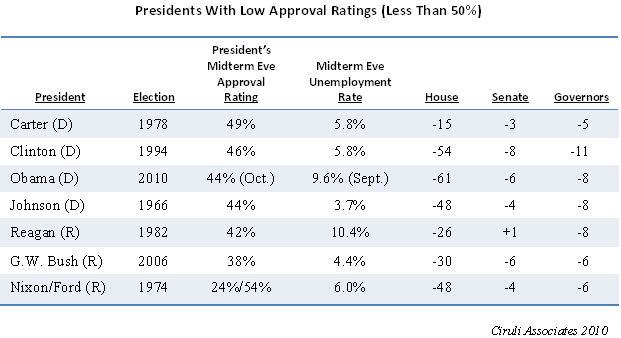 A presidential job performance rating below 50 percent is a danger zone for incumbent Democrats. Obama’s approval rating among the crucial unaffiliated voters is 45 percent, among Democrats it is 80 percent, and among Republicans, 11 percent. 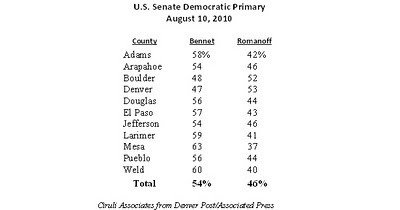 • The only region Bennet wins above his 42 percent statewide average is the six-county metro area with 49 percent. He carries only one-third of the rest of the state. Buck wins his home Larimer and Weld counties with 51 percent. He also wins a majority of voters in the South Front Range (51%) and the Western Slope (53%). • The gender gap favors the Republican candidate. Women back Bennet by 11 points (37% Buck to 48% Bennet); however, Buck carries men by 16 points (51% Buck to 35% Bennet). Buck’s advantage narrows because women dominate the electorate 54 percent to 46 percent. 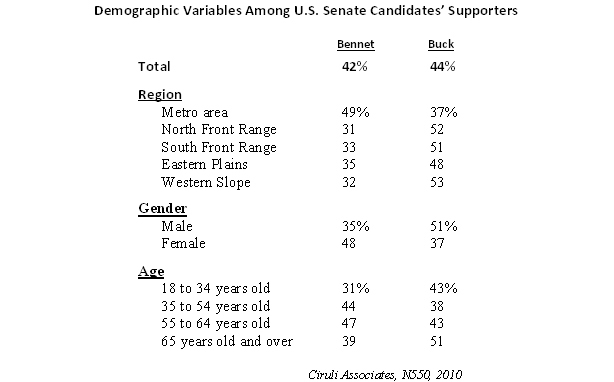 • Bennet is winning young Baby Boomers and older Generation Xers, but is losing the youngest age cohorts (18 to 34 years old) 31 percent to 43 percent for Buck. He is also losing seniors 39 percent to 51 percent. 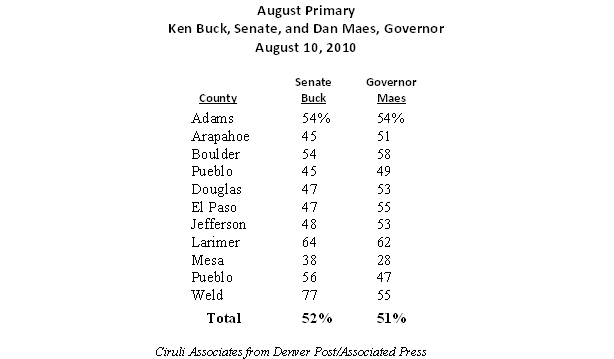 Surveys conducted prior to Labor Day (automatic dial polls) show Buck ahead 2 to 9 points, with the exception of a September 1 poll that had Bennet ahead by 3 points. With the Senate race tightening and the race for Governor abandoned by many conservatives, the coming days and weeks promise an expensive, hard-hitting, take-no-prisoners battle to determine who will be the junior senator from Colorado. In the latest statewide Ciruli Associates poll, the economy, followed by illegal immigration, are the top issues Colorado voters want the governor and state legislature to address. The economy, including unemployment and the recession, currently dominates the public agenda. 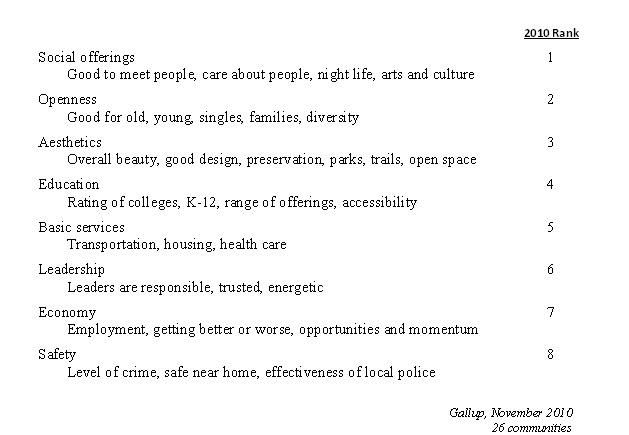 The latest Ciruli Associates voter poll shows how the priorities of voters change from year to year. Although the economy and illegal immigration have been in the top five issues since 2006, their positions have shifted. K-12 education also tends to be a perennial concern. But, the state budget and tax burdens have appeared for the first time in the five-year span. The statewide survey of 550 likely Colorado voters was conducted by Ciruli Associates from August 19 to 23, 2010. The political questions were a separate section of a survey sponsored by a consortium of grocery and convenience stores. The statistical range of error is ±4.2 percentage points. Some partisan differences exist among the top issues, although voters of both parties and those registered as unaffiliated mention the economy as the top issue. Republicans rate illegal immigration and tax burdens higher than Democrats. Nearly one-half of Democrats rate the economy as the critical issue the state legislature and governor must address. Unaffiliated voters say education and the state budget are slightly more important than illegal immigration and tax burdens. The economy is the top issue for voters around the county. The issue array, including the economy, illegal immigration, state budgets and tax burdens, gives some advantage to Republicans who have not been in office and who take a conservative approach on immigration, budgets and taxes. John Hickenlooper may be leading a charmed life. His first run for any political office – the mayor of Denver in 2003 – was pretty easy even though he began as an underdog. After winning his second term as mayor in a cakewalk, he is poised to become the next governor of Colorado. In what is, by any other measure, a great Republican election year, his two opponents have combined support of only 42 percent of voters. Barring any unforeseen event, Hickenlooper, a Democrat, should easily win this race, having never run statewide or for partisan office before. As the campaigns begin their post-Labor Day sprint to early voting and the November 2 Election Day, Hickenlooper is winning a three-way governor’s race with 44 percent of the vote. In the Denver metro area, he has 54 percent of voter support. Statewide, embattled Republican nominee Dan Maes has 28 percent and American Constitution candidate and former Republican Congressman Tom Tancredo has 14 percent support. One out of ten voters is undecided. 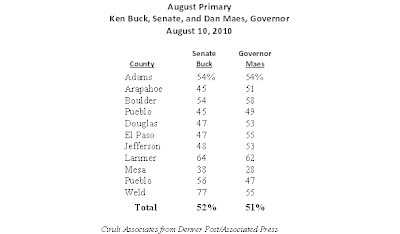 • Although Maes dominates among Republicans in this poll, 55 percent compared to 20 percent for Tancredo, a substantial number may have since become undecided in light of Maes’ loss of major party endorsements and controversies over his resume. • Hickenlooper has support from 78 percent of Democrats and a substantial plurality (45%) of unaffiliated voters, while his opponents combined have only 32 percent of unaffiliated voters. He receives 13 percent of Republicans. In the six-county Denver metro area, Hickenlooper dominates with 54 percent of the vote compared to only 19 percent for Maes and 16 percent for Tancredo. Maes’ strongest region is the Western Slope (47% support). · In spite of his claims that he can win a two-way or three-way race, Tom Tancredo barely registers support from Republicans (20%) or unaffiliated (14%) voters. 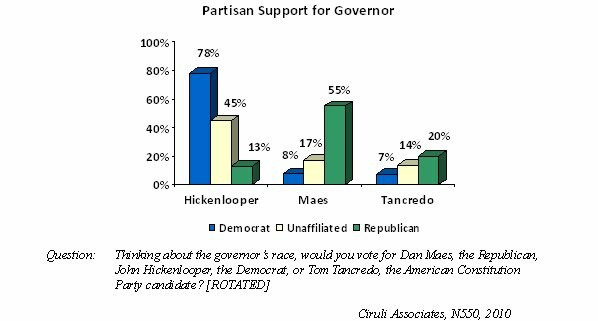 Even among self-identified conservatives, Tancredo receives only 22 percent compared to 50 percent for Maes. Whatever Tancredo claims, he enters the post Labor Day race perceived as a spoiler by most Republicans and a single issue radical by most others. Colorado’s partisan voter registration is currently neck-and-neck in the November elections. The two political parties each attract about one-third of the state’s electorate. Although Republican voters appear to be more enthusiastic in this midterm election, it is the unaffiliated voters, who also claim one-third of the electorate, that the candidates must pull in to win statewide. In a recent survey, Floyd Ciruli examined the preferences of Colorado’s unaffiliated voters in the 2010 election. Ciruli Associates conducted the statewide survey with 550 likely Colorado voters from August 19 to 23, 2010. The statistical range of error is ±4.2 percentage points. • Unaffiliated voters are ideologically diverse. Colorado voters who have not declared a political party are diverse in their ideological leanings between liberal (25%), moderate (35%) and conservative (35%). Republicans are more homogenously conservative (76%) and Democrats are generally liberal (58%), but 40 percent identify as middle-of-the-road or conservative. • In this election, partisan voter loyalty is weak. Only about one-half of Democratic and Republican partisans claim to be loyal to their registered party when asked. Fifty percent of Republicans claim to be “strong identifiers,” 21 percent are “not strong identifiers” and 18 percent say they are “independent-leaning Republicans.” Two percent are registered Republican, but identify as Democrat. Hence, both parties can only depend on the loyalty of one-half of their registered base. The rest are weak or see themselves as more independent than partisan. • Unaffiliated voters split their loyalty between being independents or siding with one of the two parties. Forty-four percent of unaffiliated voters, when asked about partisan preferences, identify as pure independents. Twenty-eight percent identify more with Democrats and 25 percent more with Republicans. • Unaffiliated voters mostly support Hickenlooper. Unaffiliated voters are largely staying away from the Republican and American Constitution Party candidates for governor, with support for Dan Maes (17%) and Tom Tancredo (14%), and giving most of their backing (45%) to John Hickenlooper. These Independents add about 10 points to his support from Democrats and Republicans to give him 44 percent to Maes’ 28 percent and Tancredo’s 14 percent among all voters. 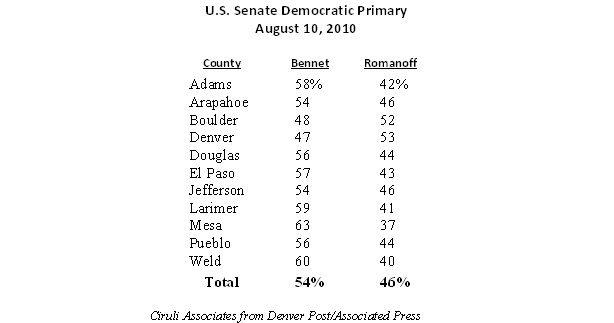 • Unaffiliated voters give a small plurality to Bennet. Michael Bennet, the Democratic appointed U.S. Senator, has lost most polling match-ups with his Republican opponent, Ken Buck. But, in this pre-Labor Day poll, Bennet is winning the crucial unaffiliated vote by 5 percentage points (38% Bennet to 33% Buck). He is still behind Buck among all voters, by 42 percent to 44 percent. Buck is boosted by winning two percent more cross-over Democratic voters than he loses Republican voters to Bennet. In addition, GOP turnout may be higher, with two percent more Republicans than Democrats saying they are going to vote. To date, Colorado’s race for senate is a toss-up, and how the unaffiliated voters end up casting their votes will likely decide the outcome. In a recent statewide voter poll on the tax and debt issues on Colorado’s November ballot, only one has majority support, and upward of one-half of voters are either unsure or offer only weak support or opposition on the remaining ballot issues. Proposition 101, which lowers the state income tax, telecommunications fees, and auto taxes and fees, is the one ballot issue passing with 51 percent support. Amendment 60, which cuts the local school property tax, has only 32 percent support and 45 percent opposition. 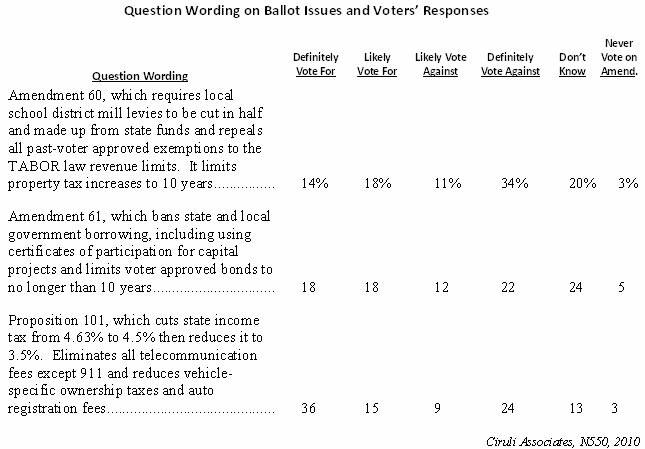 Amendment 61, which limits state and local debt, has 36 percent support and about the same percentage of opposition (34%). More voters are saying they will definitely vote against Amendments 60 and 61 than definitely vote for (see chart below for question wording and detailed data). 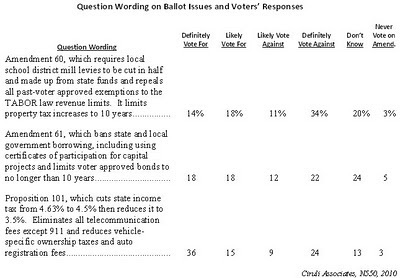 Only the income tax reduction issue has more definite supporters than definite opponents (36% “for” to 24% “against”). The statewide survey was conducted by Ciruli Associates with 550 likely Colorado voters from August 19 to 23, 2010. The political questions were part of a survey sponsored by a consortium of grocery and convenience stores. The statistical range of error is ±4.2 percentage points. Ciruli Associates is responsible for the questions and analysis. Although there are partisan differences between voters who are definitely supporting and definitely opposing the proposals, the differences are as expected. And, the percentages only climb above 40 percent on two items: Forty-four percent of Republicans support Proposition 101, the income tax, auto and telecommunication tax and fee reduction measures, and 43 percent of Democrats oppose Amendment 60, which would cut local school property taxes. Clearly, Amendment 60’s impact on schools has generated considerable opposition early in the campaign, while voters still have little information or awareness of the other two issues. Proposition 101’s statutory changes to the income, auto and telecommunications taxes and fees appear to have some initial attraction – again, before any real campaign has started. Shall there be an amendment to the Colorado constitution concerning government charges on property, and, in connection therewith, allowing petitions in all districts for elections to lower property taxes; specifying requirements for property tax elections; requiring enterprises and authorities to pay property taxes but offsetting the revenues with lower tax rates; prohibiting enterprises and unelected boards from levying fees or taxes on property; setting expiration dates for certain tax rate and revenue increases; requiring school districts to reduce property tax rates and replacing the revenue with state aid; and eliminating property taxes that exceed the dollar amount included in an approved ballot question, that exceed state property tax laws, policies, and limits existing in 1992 that have been violated, changed, or weakened without state voter approval, or that were not approved by voters without certain ballot language? Shall there be an amendment to the Colorado constitution concerning limitations on government borrowing, and, in connection therewith, prohibiting future borrowing in any form by state government; requiring voter approval of future borrowing by local governmental entities; limiting the form, term, and amount of total borrowing by each local governmental entity; directing all current borrowing to be paid; and reducing tax rates after certain borrowing is fully repaid? Shall there be an amendment to the Colorado Revised Statutes concerning limits on government charges, and, in connection therewith, reducing vehicle ownership taxes over four years to nominal amounts; ending taxes on vehicle rentals and leases; phasing in over four years a $10,000 vehicle sale price tax exemption; setting total yearly registration, license, and title charges at $10 per vehicle; repealing other specific vehicle charges; lowering the state income tax rate to 4.5% and phasing in a further reduction in the rate to 3.5%; ending state and local taxes and charges, except 911 charges, on telecommunication service customer accounts; and stating that, with certain specified exceptions, any added charges on vehicles and telecommunication service customer accounts shall be tax increases? In a newly released poll of Colorado voters, Mayor John Hickenlooper had a 56 percent favorability rating, the highest of eight politicians tested, whereas Tom Tancredo ranked the lowest on the favorability index with a 28 percent rating. Other government officials receiving high unfavorable ratings included President Obama (48%) and Governor Bill Ritter (46%). However, Tancredo had the worst favorability-to-unfavorability ratio at a negative 1.6. The statewide survey was conducted by Ciruli Associates with 550 likely Colorado voters from August 19 to 23, 2010. The political questions were a separate section of a survey sponsored by a consortium of grocery and convenience stores. The statistical range of error is ±4.2 percentage points. Ciruli Associates is responsible for the questions and analysis. 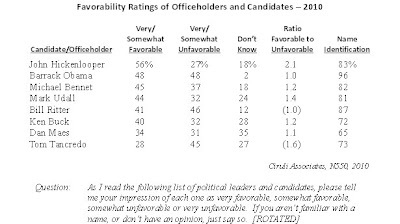 The favorability question probed voters’ impressions of officeholders and candidates with no title or description attached to their name. Voters were asked to rank the politicians on a scale from “very favorable” to “very unfavorable”, and encouraged to say if they did not know the person, or just didn’t have an opinion. It is a good test of voter awareness and goodwill toward the elected official and candidate. • Hickenlooper has had a high favorability rating for much of his political career. 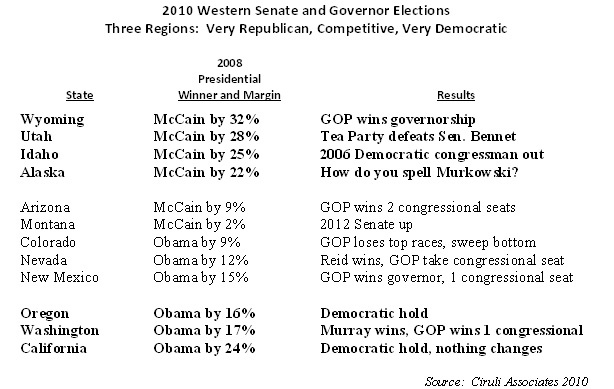 He was rated near the top of the field (61% favorable) in 2006, just behind Gov. Bill Owens (63% favorable) as Owens neared the end of his term. 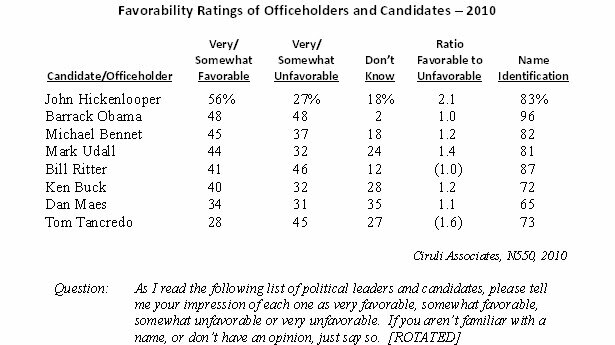 Hickenlooper had a 9 percent unfavorable rating in 2006, which has grown, but is still very low (27%). He had the best positive-to-negative ratio (2-to-1) of the eight current politicians tested in the poll. • Gov. Ritter leaves office with a weak favorability rating and more voters rating him negatively than positively (46% unfavorable to 41% favorable). In September 2008, Ritter had a 57 percent favorability rating, similar to Hickenlooper’s (58%), with only a 28 percent unfavorable rating. • Senator Michael Bennet received 45 percent favorable and 37 percent unfavorable ratings, with 82 percent of voters identifying him. 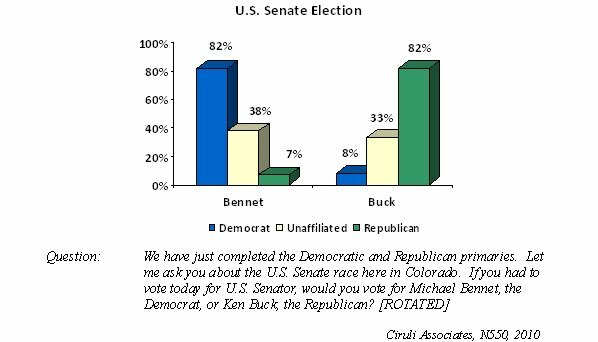 His opponent Ken Buck’s favorability was lower at 40 percent, but his favorable-to-unfavorable ratio was the same as Bennet’s. His name identification was 10 points lower. 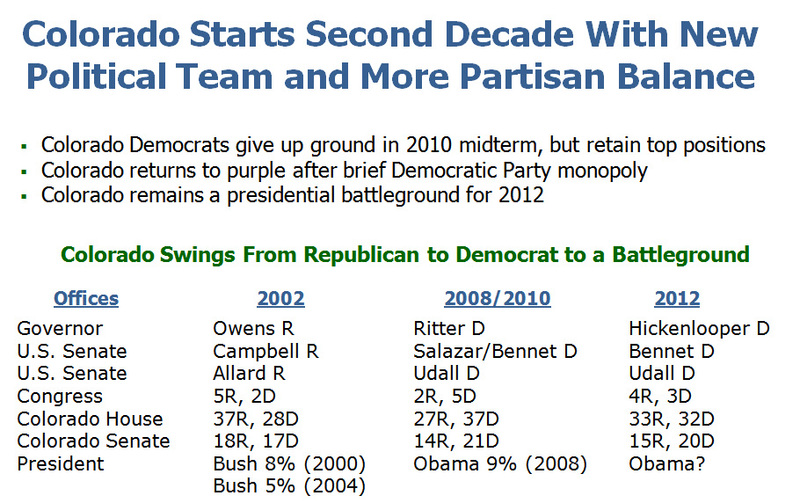 Generally, in Colorado elections cycles, as a candidate becomes better known, his favorability will usually rise. Of course, Democrats are trying to keep his favorability low by running extensive negative advertising. • Dan Maes, the Republican candidate for governor, was only recognized by 65 percent of voters, the lowest on the list, and had a 34 percent favorable rating, with 31 percent not favorable. 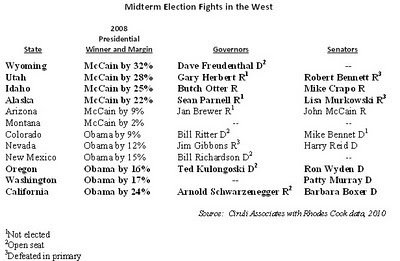 Tom Tancredo was the most polarized politician tested. Three times as many voters rated him “very unfavorable” (32%) as considered him “very favorable” (11%). 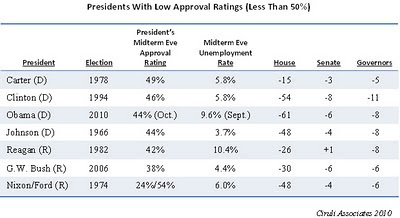 • President Obama had only 14 percent of Republicans rating him favorably, but 85 percent of Democrats were positive. Unaffiliated voters, as expected, were in the middle at 52 percent favorable. Since the story first appeared on the front page of the Denver Post, Colorado gubernatorial candidate Scott McInnis has had a defensive and inadequate response strategy. His statement that “this is a non-issue” was wishful thinking. “Ciruli says the way McInnis handles the situation, especially over the next 24 hours, could have a major impact on his campaign. It was clear from Tuesday morning on the story would derail the campaign if not managed. “Ciruli says the front-page story in The Denver Post could impact the race for the Colorado governor’s mansion. His cavalier treatment of the water report simply confirmed he felt he was providing something else for the money. “9News Political Analyst Floyd Ciruli says the story does not look good for McInnis. For people like judges, teachers, lawyers, engineers and other professions who write a great deal, his behavior is inexplicable and embarrassing. • McInnis will attempt to push ahead toward the August 10 primary. If he wins it, he will consider that confirmation that the issue was minor and is behind him. But, his winning may more be a function of the lesser evil rule – Republicans simply believe Dan Maes is an even worse candidate. • The specter that scares Republicans is Bob Beauprez’s 17-point loss to the not very politically-talented Bill Ritter four years ago. 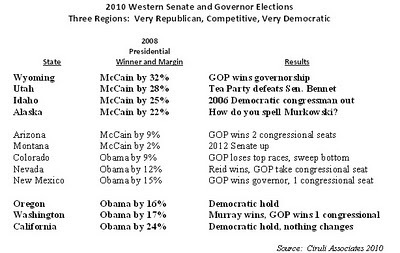 2010 was the year to win the governorship back. Polls indicate that Republicans, including with McInnis as the nominee, tend to have a 5-point advantage going into the race. Now, McInnis, even if he survives the primary, has picked up major baggage and turned the only statewide newspaper against him early and loudly. • Obviously, Republicans want to contain the damage. They are currently ahead with either of their senate candidates and likely to win the state’s only competitive congressional race. They also have potential of winning the Colorado House. They do not want a poor campaign and damaged candidate running for governor hurting the whole ticket. • John Hickenlooper is already attracting more money than McInnis, some of it from the same Republican metro area funders that McInnis was depending upon. If Maes wins the primary, or McInnis looks fatally damaged, expect a stampede of money to Hickenlooper. • Although there is a mechanism for finding a stronger nominee if McInnis continues to be buried by the controversy, it would be very difficult maneuver to execute. McInnis would have to win the primary, then drop out of the race. It’s not clear what could motivate him to give up after, in his mind, he was just selected (forgiven) to be the nominee. But even if it was possible, the public impact on swing voters, both unaffiliated voters and moderate Republicans, is not clear. It would look like a backroom political deal and hugely burden the new Republican nominee.